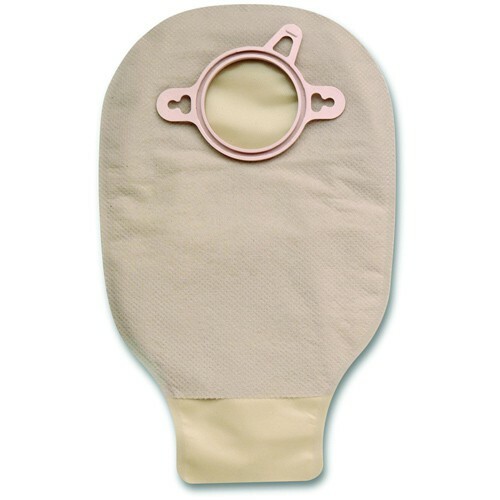 Drainable Mini Pouch, Beige is a drainable ostomy pouch designed with ComfortWear panels to provide a soft, cloth-like covering between the pouch and the skin. This ostomy pouch from Hollister Medical provides maximum protection and is designed with an odor-barrier material. Drainable Mini Pouch, Beige is completely rustle-free, providing a discreet user experience. Made from the highest quality materials, this drainable pouch from Hollister Medical is the perfect fit for any ostomy patient seeking a low-key, comfortable user experience. You might also be interested in similar drainable ostomy pouch products that we carry, such as Hollister Karaya 5 Drainable Pouch with Belt Tabs 9 Inch. Recommended for Home Use - Swimming and bathing allowable.